I made the mistake of reading back over some of my Blogs yesterday. Big mistake, mainly because I picked the wrong ones to read. I chose to read those full of promises and pacts with myself, 75% of which I didn’t keep or found some excuse to justify the break! 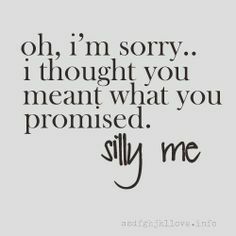 We go out of our way to keep promises to others, cancelling nights out to go see family, leaving the pub because we promised we would be home early, why then is it much easier to break that promise to ourselves than it is to others? The guilt trip that we face when the child puts on that Oscar-winning sob and bleats but you promised, send us in a nose dive straight into the pool of “how could I’ followed by so much “making it up to you” we spend half our wages on crap toys and fast food! What if that child was us? Remember that promise you made to yourself as you gazed upon the sight that greeted you in the mirror yesterday morning? You know, the one you went “Ugh, never again” to then promptly walked past the gym and hit the chip shop? I see you nodding, I know I am! I remember discussing this with a friend and her saying that the promises we make to ourselves don’t matter because they are just words we use to justify the old “diet starts tomorrow” mentality. 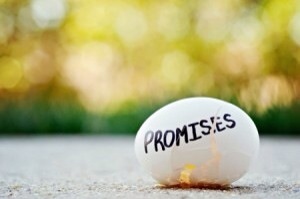 But that kind of got me thinking, what if every self promise we break does affect us? Imagine you have an empty egg box perfectly balanced on your head and every time you make yourself a promise an egg is put into that box. Just think how careful you would be to keep that box balanced because the last thing you would want is for an egg to fall out and run all over your face. Ick! 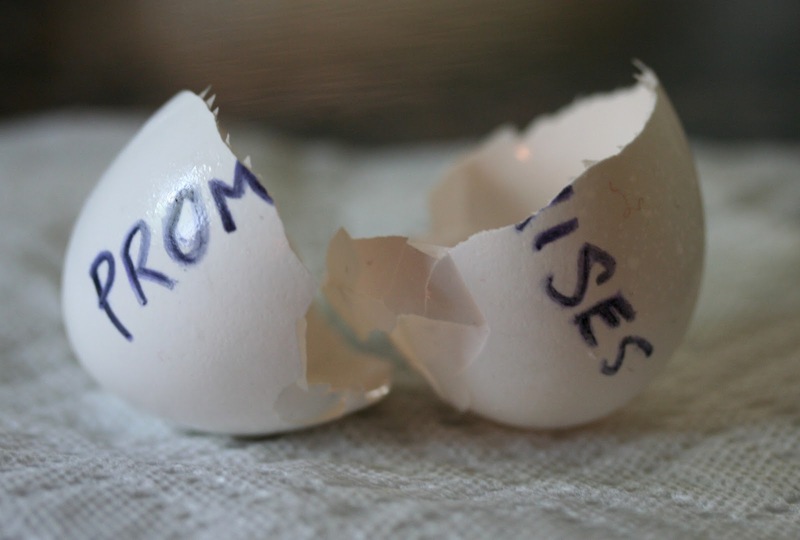 Now just consider all the “promises/bargains/pacts” you made with yourself last week and oh yes we are seeing broken eggshells all over the floor with a raw egg shampoo happening, aren’t we? As a Brownie Guide, we promised to “do our best, to do our duty to God, to serve the Queen, to help other people and to keep the Brownie Guide law” a mantra I remember chanting every Monday night then promptly forgetting it unless there was a badge involved. Perhaps it is time to stop the promise repetition that often really means nothing and start just doing? If the eggs in the box on our head become the norm, we will get used to them and change our life so that nothing falls out and breaks aka no egg on our face. So for the next fortnight , to try t keep myself on track, my Blog will be full of very boring normal every day life stuff, I want to see for the next two weeks how much fitting things into normal life works and keep a tally of the broken eggs just to make myself a bit more aware of self-respect and permanent changes to my life and how I can get all those smashed eggs back together. I am making no promises …yet!